For your safety, the very latest US-Spec Full Head Goggle Protection Systems incorporating anti-fog lenses. This SAS-style camouflage combat suit will protect you and your civilian clothing from the rigours of battle. 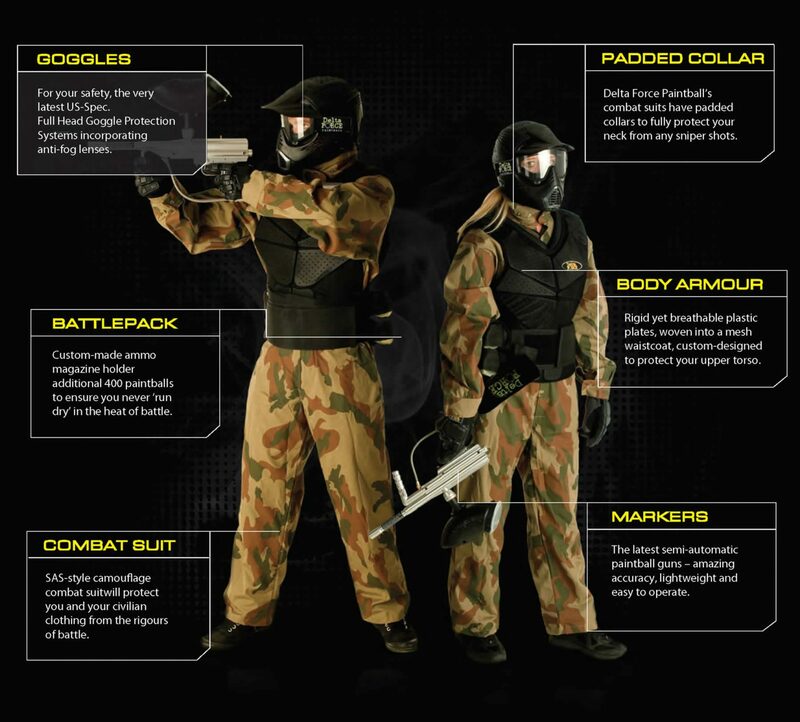 Delta Force Paintball’s combat suits have padded collars to fully protect your neck from any sniper shots.